The Indigenous People of Biafra (IPOB) has opted out of its initial peace talks with the leadership of the pan-Igbo socio-cultural organisation, Ohaneze Ndigbo. The group said it has discovered that Ohaneze planned to use the peace meeting to lure it into endorsing a vice presidential candidate of Igbo extraction for the Peoples Democratic Party (PDP). A statement issued by IPOB’s spokesperson, Emma Powerful, stated that it suspected sinister moves when Ohaneze Ndigbo approached them asking for settlement, and that its recent discovery of the plan has therefore put paid to all peace moves as the group would no longer enter into any talks with Ohaneze leadership. Professor Ben Nwabueze had last weekend hosted the leadership of Ohaneze Ndigbo and IPOB in his country home in Atani, Anambra State, where he said that the meeting was convened to consolidate on an earlier peace agreement he had brokered between both groups in Enugu. IPOB and Ohaneze Ndigbo had been at daggers drawn following the proscription of the group by the federal government last year. IPOB believes that Ohaneze Ndigbo and governors of the South-east worked in concert with the federal government to proscribe it. At the last weekend’s meeting, Nwabueze had told journalists that another meeting would be held in Enugu where the South-east governors would be in attendance, and that the trio would work to pressure the federal government to de-proscribe IPOB. THISDAY however learnt that the meeting scheduled to hold in Enugu last Wednesday failed for unexplained reasons. IPOB in its statement said: “Following the inability of Ohaneze Ndigbo and South-east governors to de-proscribe the activities of IPOB in line with the stated objectives of the Prof. Nwabueze who convened peace initiative, the leadership of IPOB hereby suspend, with immediate effect, any future contact or participation in meetings involving Ohaneze Ndigbo leadership or South-east governors. “The ceasefire previously announced as a gesture of goodwill after the first Enugu meeting is now officially revoked with no hope of future reinstatement.” IPOB noted that what was more annoying was that the peace meeting was planned as a ploy to get her members to be part of the endorsement of an Igbo vice presidential candidate of the PDP. 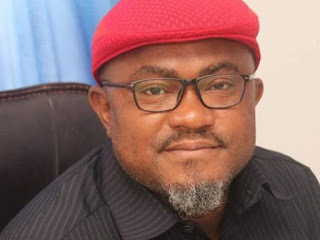 “They abused the privilege IPOB ceasefire afforded them by seeking to turn the meeting into an endorsement of an Igbo candidate for PDP vice presidential slot in the coming 2019 elections. “Under such circumstance, we felt the meeting had lost its purpose hence the need for us to pull out of any talks which consequently brought the entire process to an end. “Having dutifully attended three meetings in the past seven weeks with nothing to show for it, these collaborators and traitors have become more emboldened in their subterfuge to the extent of boasting to observers sent by Aso Rock to the Enugu meeting that IPOB has been thoroughly weakened and reduced to begging to be de-proscribed,” the statement disclosed. The group insisted that it has high respect for Nwabueze who had tried to broker peace between them, but it would not continue with the peace talks bearing in mind that Ohaneze was seeking to drag them into Nigerian politics. It announced that any further attempt to bring the group to a round table discussion with Igbo leaders would not work, asking that all enquiries should henceforth be channelled to its headquarters in Germany.